Auckland Mounted Rifles marching along Upper Symonds Street, Auckland, September 1914. 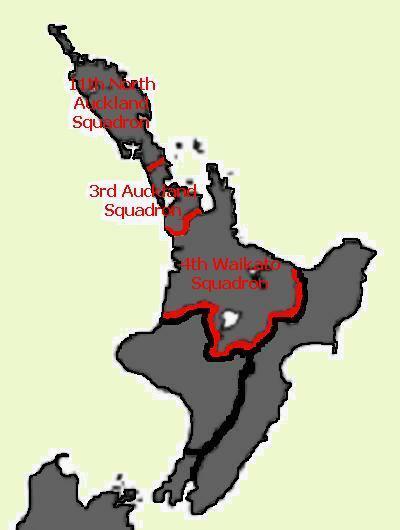 The Auckland Mounted Rifles utilised the Volunteer Territorial structure to recruit members into the three squadrons gazetted as establishment in August 1914. 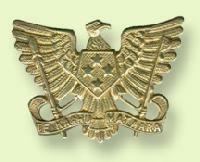 Below is a listing of the three squadrons inclusive of the distinguishing squadron badge. The original Auckland Mounted Rifles embarked to Egypt on 16 October 1914. As mounted troops, the New Zealand Mounted Rifles were considered to be unsuitable for work in Gallipoli. The mounted troops volunteered to operate as infantry and thus were sent to Gallipoli with the Auckland Mounted Rifles landing on 12 May 1915. 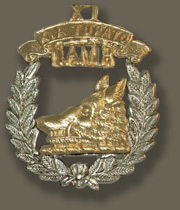 Only once was this regiment used for offensive activities which occurred during the two attacks on Hill 60 in August 1915. For the balance of the time the Auckland Mounted Rifles remained at Gallipoli, the unit played a defensive role. In March 1916, the Auckland Mounted Rifles was allotted as a Regiment in the newly formed Australian and New Zealand Mounted Division, or more commonly called the Anzac Mounted Division. As part of the Division the Auckland Mounted Rifles moved to join its parent brigade, the New Zealand Mounted Rifles Brigade, which was taking part in the defence of the Suez Canal. The work was hot and monotonous. they remained here until moved to the Romani region to bolster the defence of that area. The New Zealand Mounted Rifles Brigade played an important role in beating back the Turkish invasion of the Suez Canal zone at Romani. Now known as the Battle of Romani which lasted from 4-6 August which was quickly followed by the Battle of Katia and then Bir el Abd on 9 August. All the actions in which the Auckland Mounted Rifles finally led to the defeat of the Ottoman Canal Expeditionary force and its retreat to Bir el Mazar. Over the next few months, the Auckland Mounted Rifles took part in the Allied advance over the Sinai leading to the fall of Bir el Mazar, then El Arish followed by Bir el Magdhaba and finally Rafa in January 1917. The Ottoman forces were expelled from the Sinai and were poised to be tackled in Palestine. On 27 March 1917, the Auckland Mounted Rifles took an adventurous role during the First Battle of Gaza. While involved in the encirclement of the city as a prelude to its capture, the Auckland Mounted Rifles received the order to withdraw and return to the starting line. Grudgingly they did so but realised the Turks had snatched victory out of the jaws of defeat. The Auckland Mounted Rifles took part in the Second Battle of Gaza on 19 April 1917 and suffered the heaviest casualties since Gallipoli. The Auckland Mounted Rifles took part in the Battle of Beersheba and then the follow up actions that lasted until early January 1918. This included such actions as the Battle of Ayun Kara and the advance to Jaffa. After the fall of Jerusalem the Auckland Mounted Rifles moved to the Jordan Valley and took parts in operations in this region. This included the taking of Jericho, the attack on Amman during 27 March - 2 April 1918 and Es Salt Raid of 30 April – 4 May 1918. It's last major action prior to the breakout was to repel the German Asien Corps attack on Abu Telllul, 14 July 1918. At the opening of the final Allied offensive on 19 September 1918, the Auckland Mounted Rifles took part in the invasion of the Moab hills for the third time. This time Amman was captured and finally, the Ottomans called for an Armistice on 30 October 1918. The Auckland Mounted Rifles returned to New Zealand with the main body of the New Zealand Mounted Rifles. With much ceremony at Chevalier Island, the Wellington Mounted Rifles along with the New Zealand Mounted Rifles Brigade was disbanded on 30 June 1919. On the same day, Auckland Mounted Rifles returned to New Zealand on the SS Ulimaroa. 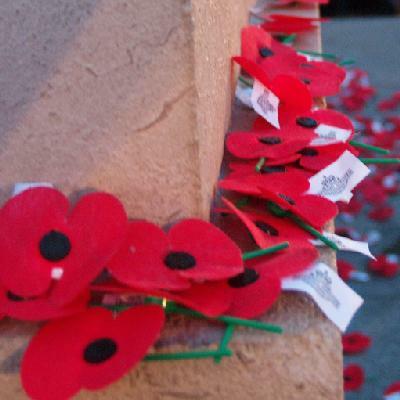 The Roll of Honour contains the names of all the men known to have served at one time with the Auckland Mounted Rifles Regiment and gave their lives in service of New Zealand as part of that unit. Norman William ASTRIDGE, Killed in Action, 12 August 1916. Alfred Thomas BATES, Killed in Action, 9 August 1916. George Reeve BETTELHEIM, Death attributed to war service under Section 2, 26 April 1918. Ernest William BLAZA, Died of Wounds, 23 August 1916. Christopher Courtenay BOWEN, Unknown, 6 January 1917. Ernest Victor BRAKE, Died of Disease, 2 October 1918. Joseph Jerome BREEZE, Death attributed to war service under Section 2, 25 January 1920. Henry Wilfred CLARKE, Died by Drowning, 19 December 1918. Thomas DALE-TAYLOR, Died of Wounds, 15 August 1916. William James DAVIDSON, Death attributed to war service under Section 2, 10 December 1918. Francis DEACON, Death attributed to war service under Section 2, 14 October 1920. James DEENEY, Died of Disease, 2 January 1916. Arthur DELANEY, Died of Wounds, 17 August 1916. Douglas Hepburn GAMBLE, Killed in Action, 9 August 1916. George Wallace GIBSON, Killed in Action, 9 August 1916. Robert GILLESPIE, Death attributed to war service under Section 2, 29 October 1920. Arthur George William GODKIN, Died of Disease, 12 March 1916. Charles Benjamin JOHNSON, Died of Wounds, 27 January 1916. Olaf Percival JOHNSON, Killed in Action, 9 August 1916. James Werner MAGNUSSON, Died by Drowning, 4 May 1917. Edmund Lancelot George MAHONEY, Killed in Action, 9 August 1916. Francis John McCARTHY, Killed in Action, 9 August 1916. James McFADDEN, Death attributed to war service under Section 2, 12 May 1920. Archibald N. MCFARLANE, Death attributed to war service under Section 3, 16 June 1915. John Andrew McGEE, Death attributed to war service under Section 2, 17 November 1918. Jonathan Thomas NOTLEY, Died by Drowning, 4 May 1917. David Hunter PALMER, Death attributed to war service under Section 2, 13 May 1920. William Norman Glyn PARRY, Killed in Action, 9 August 1916. Samuel Forbes PATTON, Not in book, 24 July 1918. Charles QUINNEY, Died of Wounds, 11 August 1916. Arthur ROBINS, Not in book, 29 November 1919. Rowan RYAN, Killed in Action, 9 August 1916. William McLean SMELLIE, Death attributed to war service under Section 2, 10 November 1918. Ralph Benjamin STEVENS, Death attributed to war service under Section 2, 16 October 1918. Hugh Charles SUTHERLAND, Killed in Action, 9 August 1916. Murdoch John SUTHERLAND, Death attributed to war service under Section 2, 20 November 1918. William Evans THOMAS, Death attributed to war service under Section 2, 24 May 1916. Mark VIPOND, Killed in Action, 9 August 1916. Ashton Owen WOOD, Killed in Action, 9 August 1916. Charles WOOD, Died of Disease, 19 August 1916. 13/112 Sergeant Charles Gordon Nicol, a member of the Auckland Mounted Rifles, a unit which was part of the New Zealand Mounted Rifles Brigade, wrote an account of this unit called The Story of Two Campains” Official war history of the Auckland Mounted Rifles Regiment, 1914 - 1919 in the Battlefields of Gallipoli, Sinai and Palestine during WWI, in which included a section specifically related to the battle of Beersheba and is extracted below. A copy of this book is available on the New Zealand Mounted Rifles Association website. Nicol, CG, The story of two campaigns : official war history of the Auckland Mounted Rifles Regiment, 1914-1919, (Auckland 1921). There was little rest for the brigade on the night of August 8. Bir El Abd was to be attacked at 6 the following morning, and the lines were awake and busy at 2 a.m., when horses were fed. The brigade moved out at 4.30, and at 5.15 the advance screen supplied by the A.M.R. was in touch with the enemy. (Flow simple it is to say that a screen was in touch with the enemy! How easy to say it, but what of the bullets that whip the morning air and the anxious peering eyes that must miss nothing, and the furrowed brow of the lieutenant who must be certain that the messages he sends back by flag are perfectly true. Yes! it is much easier to say that the screen gained touch). Leaving the horses under the cover of sand dunes the troopers, in open formation, moved forward to the attack, from a point about one and a-half miles west of and overlooking Bir El Abd. Splendid covering fire was provided by the Somerset Battery. The front line of the A.M.R. comprised the 3rd squadron on the left, and two troops of the 11th squadron and one section of machine-guns on the right. On the Regiment’s left were the C.M.R., with Australians beyond them, and on the right was expected to come the 3rd Light Horse Brigade. The 3rd brigade again failed to get up, and again the Regiment had its right flank “in the air.’ On the left of the hummocky country to be traversed was a ridge running forward from Bir El Abd, and on it were the Turks who, if unmolested, would have made it particularly hot for the attackers, but the moment the advance was started Lieutenant Hinman’s machine-guns sent a deadly sheet of metal along the crest and cleared it. The absence of the brigade on the right soon began to have serious consequences. At 6.45 it was reported that enemy reinforcements were coming over the long ridge south-east of Bir El Abd, and the Regiment had to extent its front to a considerable extent. Major McCarroll went across to command this section, taking with him two troops of the 4th squadron. Advancing by troops the regiments made steady progress. At 9 a.m. the right flank was reinforced by one squadron of the 5th Light Horse. About 11.20 the C.M.R. and the left flank of the A.M.R.. had to retire a distance owing to enfilade fire and, with the continued pressure against the unprotected right, the situation began to look ugly. Half-an-hour later the Turks counterattacked with two battalions, each numbering 500 or 600 men. Aided by the Somerset Battery, the Regiment was able to hold its ground until the arrival of small reinforcements and a W.M.R. machine-gun section. The enemy then opened up a heavy artillery fire, which continued until 3.30, when he launched a second counter-attack, before which the C.M.R. had to retire. During the afternoon the Turks sent in three fresh battalions against the left, and although the fighting did not develop into a hand-to-hand affair, it was warm enough for anyone. By 3.15 the A.M.R. reported that it was holding the enemy well, but at 4.15 a retirement was ordered. This presented a problem of difficulty, especially in view of the signs of another counter-attack. It had been observed, however, that the machine-guns used by the enemy were of German make. It was thus known that their field of fire was limited. Accordingly, it was decided to move back slowly to a point where the horses could be brought up, and then rush off the two flanks at a wide angle, which would prevent the machine-guns getting round on them. This was done, leaving only a small body in the centre. When the time came for this section to move, the enemy machine-guns were apparently fixed on the flank routes taken by the others. Instead of going by the flanks the men mounted their horses and galloped straight over the ridge immediately in rear. So successful was the movement that only one casualty occurred among the last section as it got away. Mention should be made of the splendid work of the machine-guns under Lieutenants Hinman and McCarroll in covering the respective withdrawals of the right and left sections. Some delay occurred in starting the final withdrawal on account of the shortage of sand carts for the wounded, but all the wounded were successfully evacuated before it began. The Regiment’s casualties for the day numbered 11 killed and 19 wounded. The A.M.R. lost two particularly fine officers in Captain O. Johnson, who was killed, and Lieutenant A. M. Martin, who died of wounds. Lieutenant Martin had done splendid work in finding and developing water. This was the last fighting the Regiment engaged in at this period. The Turk, menaced on the southern flank by the Camel Corps, and on the rear by the mounted troops, who had so thoroughly proved themselves, hurried his departure, and within a couple of days patrols had penetrated beyond Salmana without meeting the enemy. 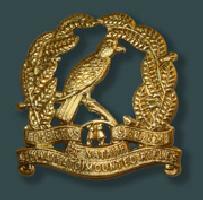 For some days the Regiment was bivouacked at Bir El Abd doing patrol duty and helping to bury the dead and the bodies of animals. Plenty of evidence was found of the havoc the guns had caused among the enemy transport camels. Romani was a most decisive victory. Nearly 4,000 prisoners were captured and the Turkish casualties were estimated at no less than 7,000. Thus, over half the force that had come across the desert was accounted for. The Regiment had its full share of fighting. During the week the men had little sleep, little water, and only “hard tack” and bully beef for food. The heat had added to their trials, which did not end with the battle, however, for patrol duty beyond Salmana was the usual routine. “It’s a hell of a life,” wrote one man during these days. “We need a spell, and so do the mokes. At Bir we found lots of beer bottles. Empty, of course. If ever I get out of this don’t talk desert to me. The only shelter from the sun is what we can rig up with our blanket. All manner of insects attack us at night, and at dawn they are relieved by an army corps of vicious flies. Anyhow we got an onion issue today, and they say the railway is coming on fast. I suppose we are dinkum crusaders, but we don’t look it or feel it. 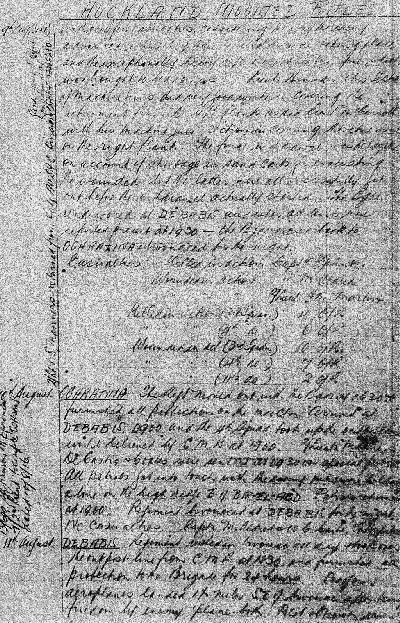 In the next war I’m going to be a rum buyer in Jamaica.” A few days after the last of the fighting, Brigadier-General Chaytor had to go to hospital owing to his Gallipoli wound giving him trouble, and in his absence Lieutenant-Colonel Mackesy took command of the brigade and Major McCarroll of the Regiment. A week later the brigade moved to Hod Amara, beyond Abd, where it took over the out post line, and made a reconnaissance over the rough ground north of Salmana and the island of El Gaiss, which is separated by a very shallow strip of water which dries up in summer. No traces of recent occupation by the enemy were found. It was a long, rough ride, but most interesting. En route a number of dry salt “lakes” were crossed, the horses’ hoofs not making a mark on the hard crystal bottom. There was good fresh water in the vicinity of El Gaiss, sometimes in proximity to very salt wells. Patches of water melons and fig trees were found, and the fruit tasted like food of the gods after the fare of the recent hard days, but many suffered terrible pains afterwards. Lieutenants Finlayson and Coates acted as guides to the brigade on this expedition. A couple of days later an enemy airman dropped three bombs on the Amara Camp, but did no harm. It was at this time that the 3rd squadron commander, Major Schofield, who had been seriously wounded on Gallipoli, broke down in health, and went away for good. He was succeeded by Major Bennett. The brigade remained at Amara until September 11, the only diversions being provided by enemy ‘planes, which usually appeared overhead at breakfast time, but usually passed on. A shift was then made back to the old camping ground at Bit Etmaler, where a well-earned rest a was enjoyed. Reinforcements were received, and the old hands were sent away on leave to a splendid camp, established for the convenience of leave men, at Sidi Bishr, on the coast at Alexandria. A pleasant month was so spent. Meantime, the railway was pushed on with remarkable speed, and all that troubled the workers and their protectors was air raids, which, however, rarely did any damage. On October 22 the New Zealand Mounted Brigade was shifted up to Bir El Abd with camel transport, which was suggestive of further adventures. War Diary account of the AMR. Operation Order by Brigadier General Chaytor received at 1700 for Regiment to proceed to Dueidar in support of 5th Light horse Regiment on reconnaissance to Bir Nagid. The Regiment, less 11th Squadron, and one Section New Zealand Mounted Rifles Machine Gun Squadron (Lieutenant Hinman) left Hill 70 at 2200 and arrived at Dueidar and relieved 5th Light Horse Regiment at 2400. Dueidar. Patrols sent out to Hill 331 and Hill 383 at 0230. Patrol reported all clear at 0430. Report received from 5th Light horse Regiment at 0700 that Nagid was clear. Message received at 0900 from Brigade headquarters for two Squadrons less two Troops (4th Squadron) to proceed in direction of Canterbury Hill and rejoin main body on the way. Captain Ranstead, Lieutenant Martin, two Troops (4th Squadron) detailed to remain at Dueidar and send out patrols on the Dueidar - Qatia road. The Regiment rejoined the Brigade at 1030. Enemy reported on our right flank at 1100 holding Mount Royston. Verbal order receive from General Officer Commanding for the 3rd Squadron to advance on Royston with Canterbury Mounted Rifles Regiment on left flank and Yeomanry on right. Two Troops, 4th Squadron and Machine Gun Section (under Lieutenant Hinman) under the command of Major McCarroll went up in support of 3rd Squadron at 1300. On arrival of supports, steady advances were made. Order Signal message received from General Officer Commanding that a general attack would be made on the enemy position at 1645. 1700. The enemy put up numbers of white flags and 3 Officers and 152 Other Ranks surrendered. Mount Royston taken at 1730 and by 1830 practically a whole Turkish Force in the vicinity of Royston surrendered. Approximately 1,000 prisoners, rifles, quantity of ammunition and four Mountain Guns were captured by Canterbury Mounted Rifles Regiment, Composite Yeomanry Regiment and Auckland Mounted Rifles Regiment. Orders to withdraw received at 1900 and rendezvous at Pelusium on arrival of infantry of 52nd Infantry Division. Arrived at Pelusium 2100. Killed in Action: 2 Other Ranks, 3rd Squadron. Wounded: 4 Other Ranks, 3rd Squadron; 2 Other Ranks, 4th Squadron. The Regiment moved out from Pelusium with the Brigade at 0600 and furnished all protection on the march. Arrived Bir en Nuss 0730 where the 4th Squadron (less two Troops) and 2 Troops of 4th Squadron rejoined the Regiment. Report by the Officer Commanding 11th Squadron received at 0800 that Second Lieutenant Martin and 7 Other Ranks were missing from outpost at Abu Raml on night of 3 August and believed to be prisoners of war. The Regiment left Nuss with the Brigade at 1030 in the direction of Qatia. Verbal attack orders received at 1400 to attack the south west corner of the hod with the 5th Light Horse Regiment on the left flank and the 3rd Light Horse Brigade on the right flank, Canterbury Mounted Rifles Regiment in reserve. The attack commenced at 1430, and as the 3rd Light Horse Brigade did not come upon our right, Canterbury Mounted Rifles Regiment took the right flank. The fighting continued through the afternoon and at 1800 the 11th squadron was withdrawn from the position held by the Regiment and sent out on the right flank to reinforce Canterbury Mounted Rifles Regiment. Orders to withdraw received from the General Officer Commanding Force at 1900 and rendezvous at a point 2 miles west on Qatia - Duiedar road. Lieutenant Johnson and 13 men (3rd Squadron) remained at Qatia as listening post. On arrival at rendezvous point the Brigade moved back to Katib Gannit. Arrived at 2330 and bivouacked for the night. Wounded: Second Lieutenant T. Dale-Taylor. Katib Gannit. The Regiment left Gannit with the Brigade at 0630 and furnished advance and flank guards to the Brigade on the march. Qatia. Being reported all clear the Brigade moved in towards Oghratina with instructions from the General Officer Commanding for the Auckland Mounted Rifles Regiment to locate enemy. Advanced scouts got into touch with the enemy at 1100 holding long ridge and line Rodha - Dhaba - Dhakar and also ridge one mile south of road. Our advanced screen kept in touch with the enemy all day. Enemy guns opened heavy fire on us at 1530 and continued fire until 1830. Orders to withdraw to Rabah receive at 1900 and arrived there at 1930 and bivouacked for the night. No casualties.